In the last few years, The Walking Dead has become a major success even though the glamor appears to fade. As for the ratings, the show has its best and yet it is still one of the most successful ones on AMC. The home entertainment release also includes six extended episodes not seen in the original broadcast. The episodes have been rated BBFC 15 for "strong bloody violence, gore". In the UK, season 8 will be released on 09/24/2018. And as stated before, the latest season will be released on 08/21/2018 in the US. It is not the first time the TV broadcast version differs from the home theater release. For instance, the season finale of season 4 - Terminus - contains the very first f-bomb in the show - exclusively for home theaters of course. 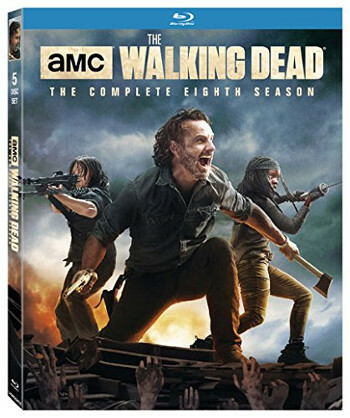 Also, the Blu-ray/DVD of season 6 contains Negan's uncensored speech in the season finale.